Through the Global Corporate Awards, we wish to bring together achievers who accomplish and lead their organizations. The Global Corporate Awards presents a common platform for the professionals who innovative, execute and make a mark. It’s with the objective to promote and salute the spirit of accomplishment, leadership and excellence. The nomination process is through the independent Board of Jury. The process and results are to be audited before the winners get finalized. The Global Corporate Awards covers a broad spectrum of domains inclusive of Manufacturing, Financial Services, Healthcare, International Relations, Public Service, Global Development to name a few. The Global Corporate Awards 2013, New York was a highly successful event which got extremely well applauded and appreciated by everyone. The Global Corporate Awards celebrations are without ostentation. Those eligible for awards should have made a mark in their respective organizations. Their achievements, contribution to the organization, society and the world must be detailed out with references. Those who are currently paid associated with the Global Corporate Awards, Members of the Board of Advisors, Members of the Board of Jury or the Members of the Organizing Committee will not eligible for awards. Any nominations received for a person in one of these positions, will be held over for consideration at the next sitting of the Awards Committee, after they have they have stepped down from their position. Relatives of the Members of the Board of Jury, Board of Advisors or the Organizing Committee will not eligible for awards. The Nomination Form is to be completed with the supporting information. The Board of Jury reserves the right to ask for additional information and to seek references etc. Category: Please indicate which award is most suitable for your nominee. The Awards Committee reserves the right to move a nominee to another category if appropriate. Nominee: Please use one nomination form per award, if you are nominating the same person for more than one award please use a new form for each award. Citation: The citation is similar to a record of achievement that documents the contribution the nominee has made to their chosen area of endeavour and highlights the significance of that contribution. It may be for one or two major achievements or a body of work. It should be no more than 300 words and should be written for a scientifically literate lay person. The Global Corporate Awards welcomes nominations from the business and industry communities. These nominations may be for an individual or for a team within an organisation who have made a significant contribution to the global development. Information in support of these nominations should highlight the impact and significance on the organisation of the nominee’s or team’s achievement. References should be made available upon request. The Board of Jury will look primarily at the strength of the citation and supporting statements when considering a nomination. However, it is also helpful for the committee to see a biographical statement and so should be included in the nomination. The proposer should include a brief biographical statement of the nominee. If including a curriculum vitae, this should be no longer than two pages. Other supporting material may be included if relevant to the nomination. This should be no longer than two pages in total. The Board of Jury will announce the Award Winners. All Award Winners will be required to be physically present to receive their Awards at the Global Corporate Awards ceremony. If any Award Winner remains absent for the Award Presentation ceremony, it'll not be given to the Award winner. 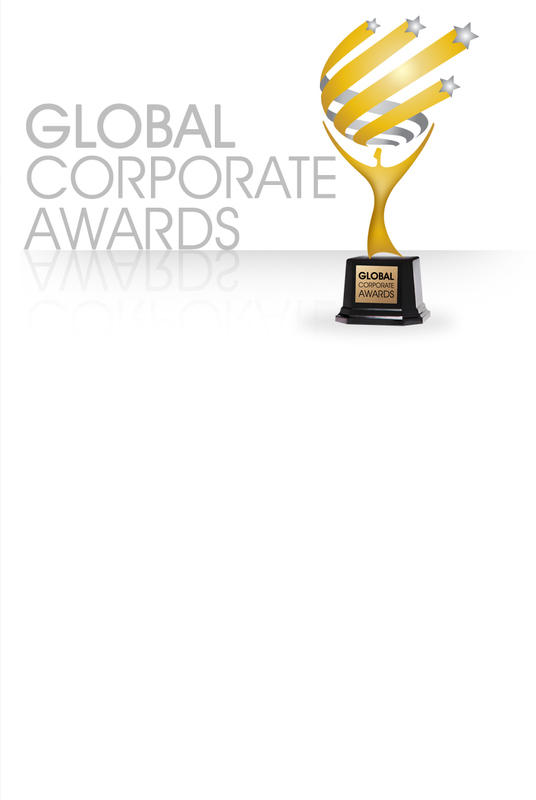 The Global Corporate Awards is now seeking nominations for the 2014 awards. There can be more than one Award Winners in various categories. There is No Fee and No Charge for the nominations or for the Award Winners. Decision of the Board of Jury will be final and cannot be contested in any way. The Board of Jury reserves the right not to announce any winner in the given category(ies).